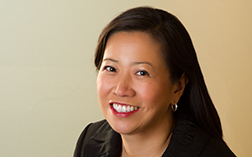 Attorney Lisa Wong Lackland focuses on complex commercial litigation, product liability, professional liability and health care. She has represented businesses in various industries (technology, health care, hospitality, insurance, financial, etc.) in disputes over antitrust, deceptive trade practices, consumer protection, corporate governance, breach of contract, trade secrets, and unfair competition. Lisa has defended product liability matters with significant exposure and punitive damage claims regarding pharmaceuticals, tires, industrial machinery, filtration equipment, elevators, appliances and other products. She also has extensive experience with professional liability cases, defending professionals and entities in malpractice and negligence claims. She is also experienced in representing professionals in disciplinary and licensing matters, and in advising businesses on compliance, regulatory and risk management issues. Lisa has tried cases in Washington and Nevada, and has argued before the Ninth Circuit. She has first-chair experience and has been a member of large litigation trial teams. She relishes formulating case and trial strategies, and has extensive experience carrying those strategies out, including having done hundreds of depositions, written motions and oral arguments. Lisa comes to Betts Patterson & Mines, P.S. with 16 years of experience practicing law and was formerly a partner at Lewis and Roca LLP in Las Vegas. Defended major pharmaceutical manufacturer in hundreds of hormone replacement therapy claims. Member of the trial team for bellwether plaintiffs trial. Defended Nevada's busiest hospital and medical staff in multiple cases involving 42 U.S.C. § 1983, antitrust, contract and tort claims; successfully argued the case before the Ninth Circuit. Secured pre-certification dismissal of putative class action claim against hospital for deceptive trade practices and fraud arising from alleged systemic overbilling of thousands of patients. Obtained summary judgment dismissal of putative class action against hospital for alleged widespread HIPAA and privacy breaches. Defense of blood bank and hospital in case of alleged Hepatitis C transmission. Plaintiff voluntarily dismissed case after discovery established that defendants would likely prevail. Defended financial institutions in class actions alleging fraud and deceptive trade practices over sales practices. Represented a Las Vegas resort and celebrity chef in defeating preliminary injunction (and then securing disposition) in trademark infringement action. Represented defendant in complex copyright/trademark infringement case concerning audiovisual display of electronic gaming machines. Represented public company against former CEO and CTO regarding misappropriation of trade secrets pertaining to motor controller products. Won defense jury verdict in multi-million dollar claim, multi-week trial alleging exploding swimming pool filter caused brain damage and blindness to plaintiff-homeowner. Obtained defense verdict as first chair in jury trial of cardiologist in wrongful death medical malpractice action for failure to diagnose cancer.